All arrangements in place for the second phase of #LokSabhaElections tomorrow. Congress to fight #LokSabhaElections in the name of its chief ministers rather than the central leadership. Campaigning for the first phase of #LokSabhaelections ends this evening. 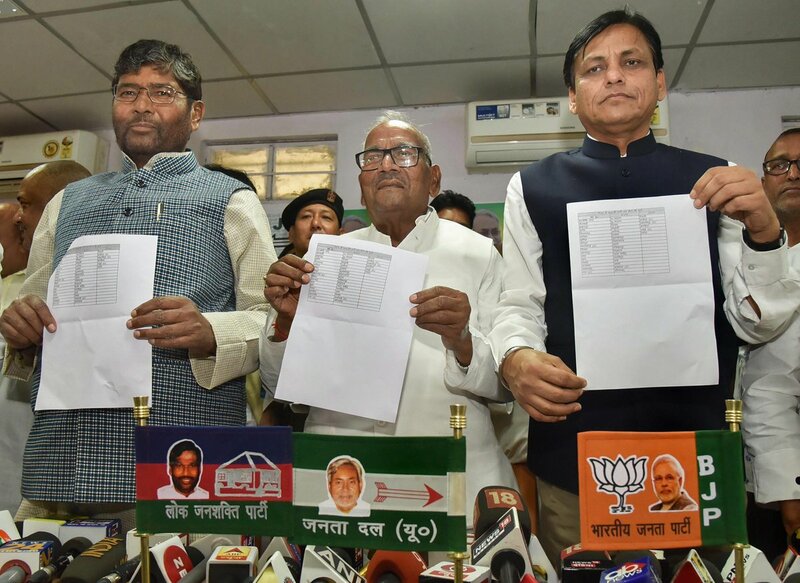 Filing of nominations for first phase of #LokSabhaelections ends this evening.
.@BJP4India drops 4 Dalit MPs from Uttar Pradesh in its first candidate list for #LokSabhaElections 2019. 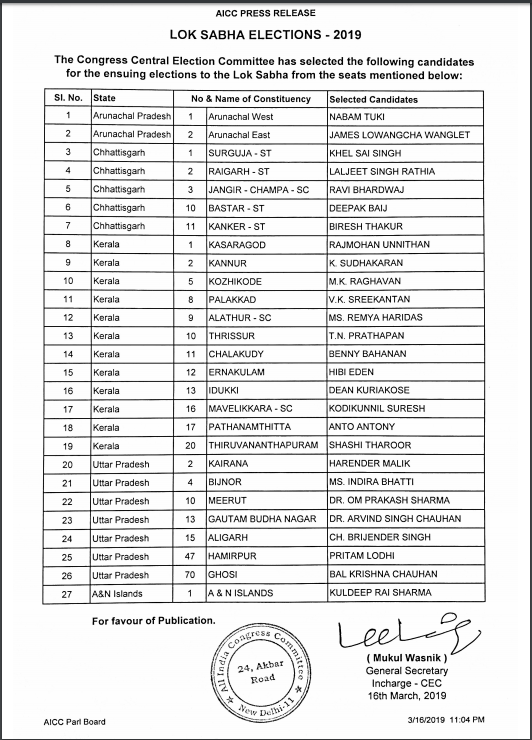 #Bihar: Notification for the sixth phase of #LokSabhaElections in the state issued. Notification for the 3rd Phase of #LokSabhaElections to be issued tomorrow. Janata Dal (Secular) not to field any candidate for #LokSabhaelections in #Maharashtra. #Bihar: #NDA to announce its candidates for #LokSabhaElections today. Election Commission rejects allegations related to #LokSabhaElections schedule clashing with holy month of Ramadan. NDA identifies its seats for forthcoming #LokSabhaElections in Bihar. #Uttrakhand: Nomination process commences from today for all the five #LokSabhaElections seats. Congress party to contest upcoming #LokSabhaElections in Uttar Pradesh alone.